I will admit, I hate stupid YouTube videos. I avoid them like the plague. And, when other people post them, I scowl…with disdain…and a little bit of hatred. So, I reluctantly watched this one expecting nothing but annoyance and disappointment. I was pleasantly surprised. Luckily, this is not spammy YouTube video-ness. It is pure awesomeness. Do you want to be on the path to awesome? Mr. 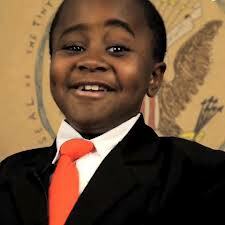 Kid President tells us to stop being boring and make the world better. I could always use a pep talk. Could you? Next story A Beyoncé Documentary? Is This Just Her Effort to Seem More Human?